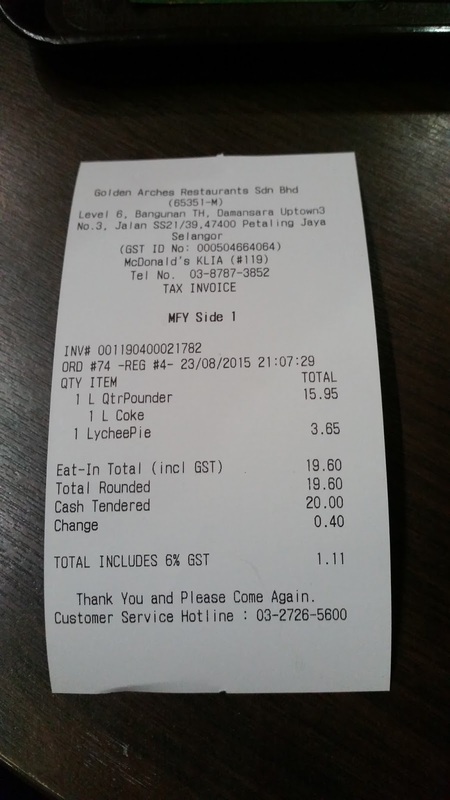 A couple weeks ago, The Wife and I had to depart Kuala Lumpur International Airport and we were a bit too early to check-in and head to the lounge, so we stopped in at the McDonald's in the public area to wait it out. 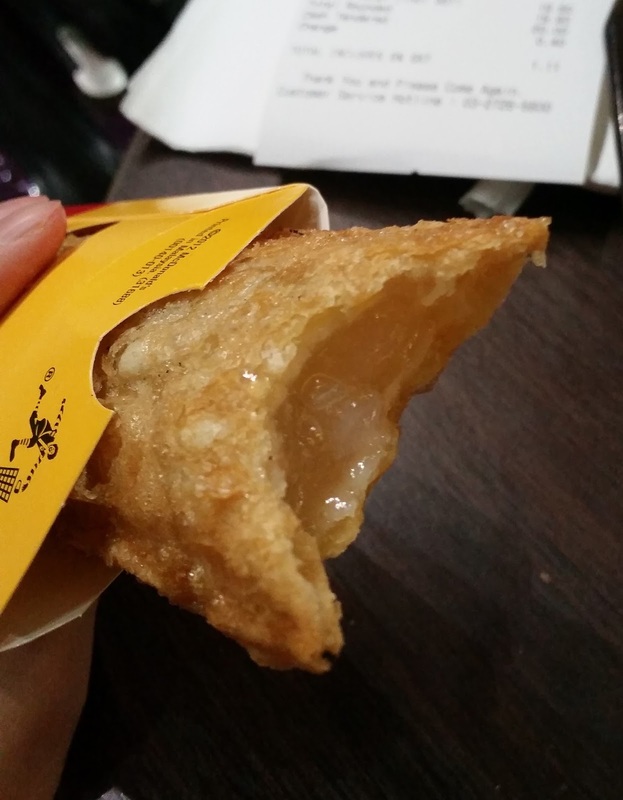 Which gave me a perfect opportunity to give the new Lychee Pie a try. 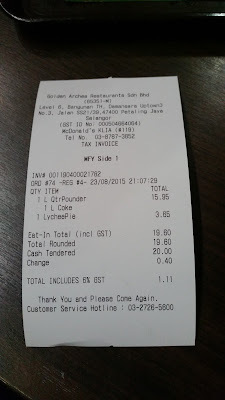 It was dinner time, and since McDonald's is the cheapest food in the airport (even with the 20% inflated prices they charge), so the restaurant was absolutely heaving with customers. Each of the 7 or so registers taking orders had a queue of at least 8-10 people deep. McDonald's in Malaysia doesn't take credit card, and I witnessed at least 3 groups (of tourists) order, and then only get rejected when they couldn't pay with card and then the staff had to scramble to cancel the order. I would have assumed that the airport branch might be a bit different due to the number or tourists and business travellers that would frequent it, but apparently not. They should at least have a sign somewhere, as I was only there for 10 minutes and saw it happen a few times so I can't imagine this is a rare occurrence. 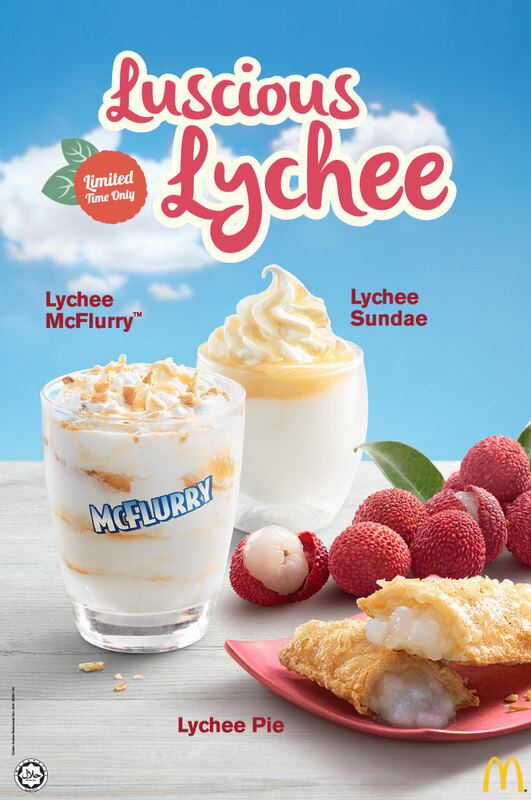 McDonald's Malaysia started to sell 3 Lychee flavoured items at the same time, a pie, McFlurry and a Sundae. 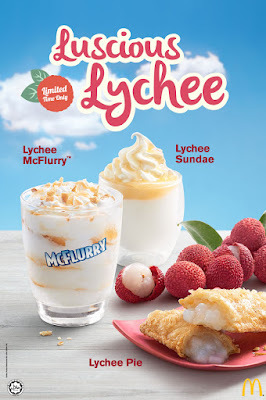 Promo McFlurry + Sundae combos are common in Malaysia, but this was the first time I had witnessed the promo pie use the exact same flavour as the ice cream. 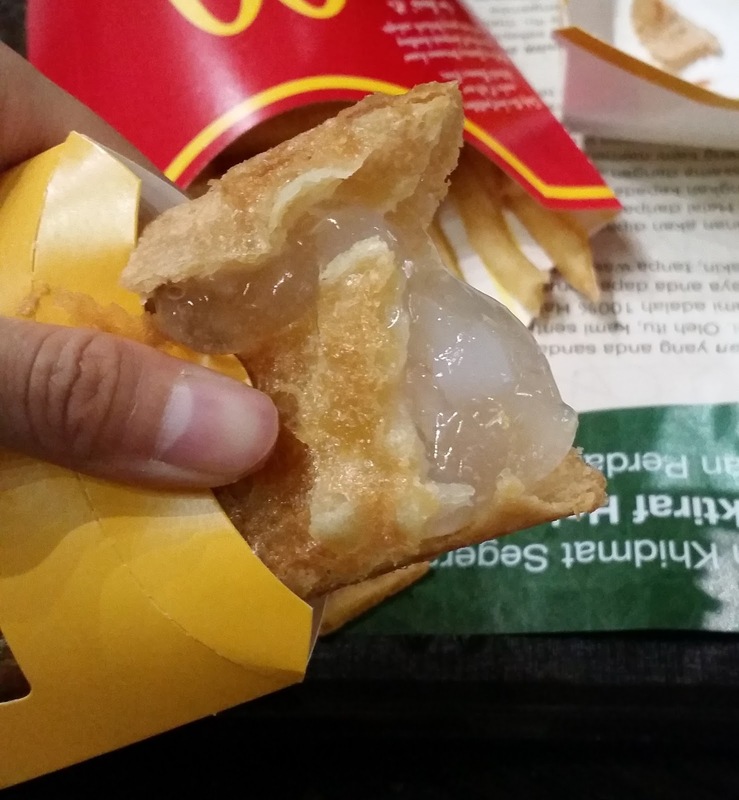 If they were different flavour, naturally I would have gone for one of each. But, as I didn't really feel like two of the same flavour before a 14 hour flight, I asked The Wife which she would rather try - she chose the Pie, so that's what I ordered, which we pretty quickly came to regret. Another strange release at the time was that McDonald's Malaysia launched a Spinach Pie promo on the same day as the Lychee items. 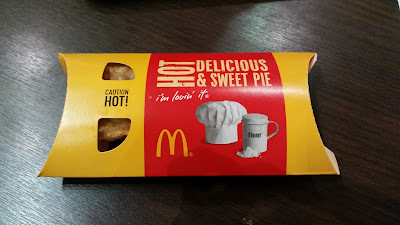 I had already tried this same pie before in Thailand, so I gave it a pass as well. 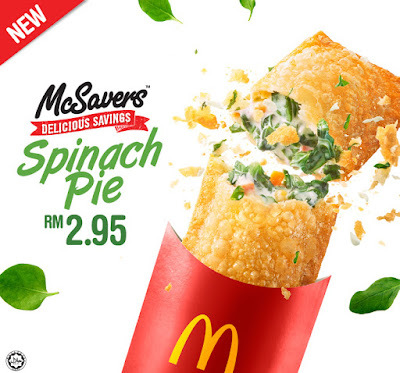 If it's even 1/2 as good as the one from Thailand, it would be the much better choice.